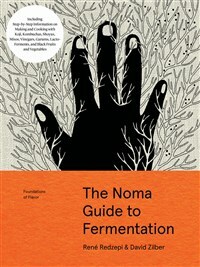 The world’s most influential chef redefines the possibilities of a restaurant cookbook by sharing new techniques for fermentation—the “secret sauce” behind every dish at Noma, the world’s leading restaurant, and one of the most important food topics today—and offering revolutionary knowledge and original recipes for home cooks and professional chefs alike. René Redzepi is the chef and co-owner of Noma in Copenhagen, four times recognized as the world’s best by the World’s 50 Best Restaurants. Redzepi has twice appeared on the cover of Time magazine (and been named one of Time’s 100 Most Influential People in the World); been featured in publications from the New York Times to Wired; and been profiled in two feature-length documentaries and countless national and international media outlets. His first book, Noma: Time and Place in Nordic Cuisine, was an IACP and James Beard Award winner. He is also the author of A Work in Progress. He lives with his wife, Nadine Levy Redzepi, and their three children. Find him on Instagram @reneredzepinoma and @nomacph. David Zilber is a chef and photographer who hails from Toronto, Canada. He has cooked from coast to coast across North America, most notably as a sous-chef at Hawksworth Restaurant in Vancouver. He has worked at Noma since 2014 and has served as director of its fermentation lab since 2016. He enjoys Jamaican patties and quantum physics. Find him on Instagram @david_zilber.